Through my exposure to many kinds of music and teaching styles, I’ve adopted a few philosophies that I live by. I believe that music cannot be a chore. I remember complaining whenever I was forced and coaxed into doing scales. That’s not how it should be. Music should be a passion that stimulates the mind and opens new doors to grow as a person. Students can’t be forced to play music; they need to take their time to fully appreciate all that it has to offer. Another one of my favorite musical theories is a quote from my retired piano teacher, Mr.Gadomski: A beginner will always rush and never make it. A professional will take his time and always get to the end. It breaks my heart to see a student pick up an instrument and saying they want to learn it in a few months. It takes years of practice and dedication to technically learn any instrument, whether it be piano or the slide whistle. I make sure that those around me realize this and lend a helping hand whenever the opportunity to do so arises. I first had a pull to music in 4th grade, when I dusted off the electric piano I got from my grandparents overseas. It was a great piano because it had a self-teaching option. The first piece I taught myself was Beethoven’s “Fur Elise” and with that, my “career” as a musician began. I started taking lessons with Wunder Studios Performing Arts Conservatory in Park Ridge for about a year. The school closed down , and I was left with a hard choice to make: do I love music enough to keep going, or should I pursue my other hobby, dance, instead? I decided to stick with my new avocation, music, and asked my mom for further piano lessons. She asked around in her group of friends and found Mr.Gadomski, an elderly Polish piano, accordion, and clarinet teacher. I studied music with him for about 5 years. He taught me how to love music and everything about it. Sadly, he moved out of the country in the summer of 2013. During my sophomore year of high school, I also picked up violin and studied for a year and a half with Ms. Jana Hayes. In addition, I’ve been playing basic guitar since 7th grade, and I recently added ukulele to my collection, already having the opportunity to perform with my school’s orchestra during our Fall Music Showcase. I live in Elk Grove, and I play piano and harpsichord in the Symphonic and Honors Chamber Orchestras, as well as occasionally playing piano with the award-winning EG Symphonic Band. I’ve had the honor of working with many talented musicians, including the now-retired University of Illinois Director of Bands James Keene. 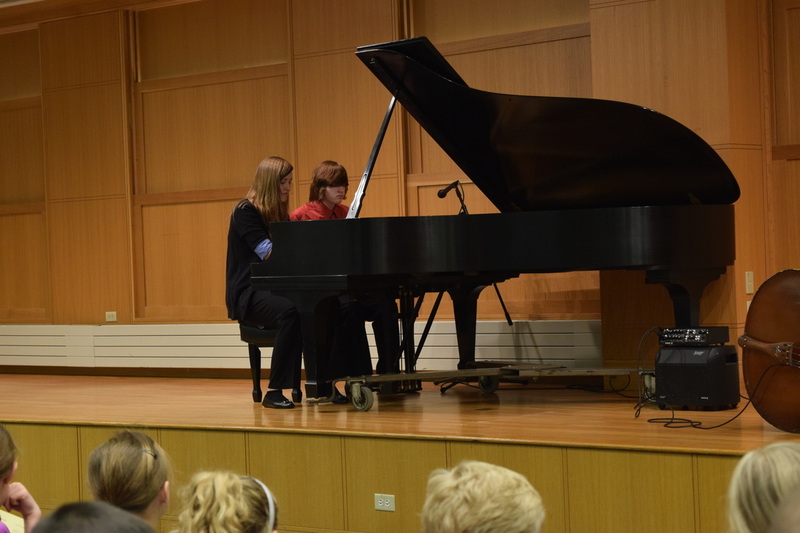 I’ve participated in District and State-wide IHSA Solo and Ensemble competitions for the last three years, performing piano solos, duets, accompaniments, and chamber pieces as well as string quartets every year. I’ve had high scores for every performance, including a piano duet “Best of the Day” award in 2014. In the past, I’ve participated in the Geneva Granquist Memorial Music Competition for two years. In 2013, I was awarded 1st place in ABC Studio’s Chicagoland Piano Competition, judged by famous local jazz pianist Mr.Januszkiewicz, among others. This coming school year, I was selected to participate in the Tri-M Music Honor Society.